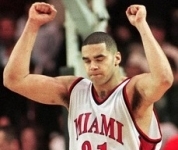 Miami-Ohio opened the 1998-99 season with wins over Notre Dame, Tennessee and Dayton. That early-season success helped earned Miami an at-large bid to the NCAA tournament. The No. 10 seed in the Midwest, they face Washington in the first round. Going into the game a lot of people didn't know who Wally Szczerbiak was. When it was over everybody was talking about "Wally's World." 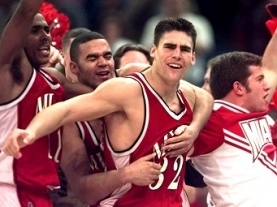 In one of the all-time great performances, Szczerbiak scored 43 of Miami's 59 points in the upset win. The Redskins then beat No. 2 seed Utah to advance to the Sweet Sixteen. 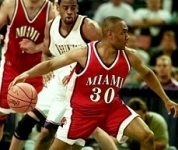 Szczerbiak, Miami-Ohio and head coach Charlie Coles became household names overnight.